Spanish ibexes are the most prestigious trophies among the fauna of the Iberian peninsula. Four different species are officially recognized at present: Gredos, Beceite, Sierra Nevada and Ronda, different between them in shape and in the size of the horns. Sierra Nevada mountains, where the Sierra Nevada (or south-eastern) ibex specie lives, are located in the south-east of Spain, between Almeria and Malaga. This specie normally gives smaller trophy sizes compared to the species from the north of the peninsula. In this area we have a reserve with ibexes reaching 300 CIC points. 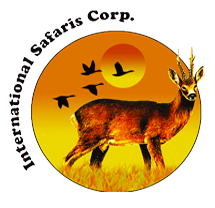 We are now in position to offer our hunters the possibility to hunt these exceptional animals. 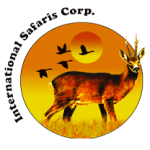 Assistance upon arrival at Malaga airport, all ground transport during the hunt, hunting organization, assistance of a local game scout, assistance of a Spanish professional hunter, first treatment of the trophy. The hunt is considered over when the chosen animal has been taken. Air fares, Spanish hunting license and insurance (120 € approximately), tax 21%, taxidermy, trophy shipment, tips, drinks and personal extras.